Help & DocumentationCreating ContentCreating Basic Metrics and Reports Choosing between Metrics, Multi-Metrics, and ReportsWhy are there Compare Lines only on some Metric Charts? Why are there Compare Lines only on some Metric Charts? Compare Lines are associated with the settings of Measurement Intervals. For example, the settings defined for the Daily Measurement Interval influence all existing and new Daily Metrics differently. 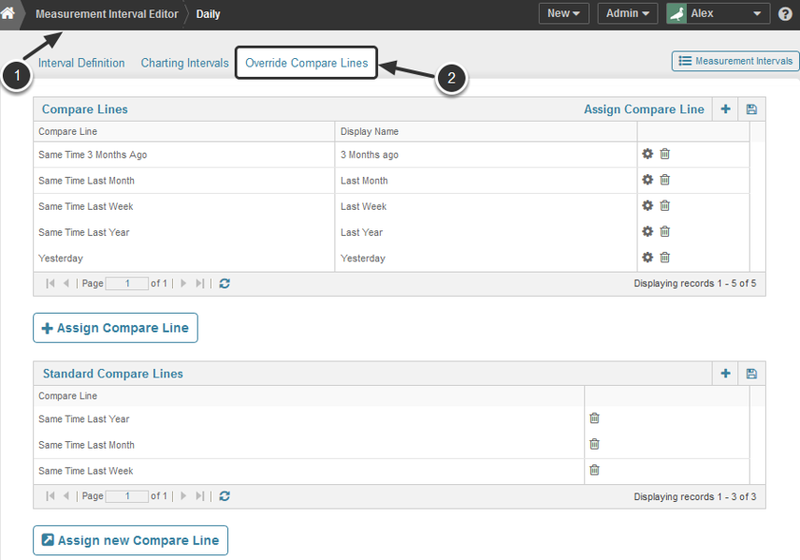 This article covers the basic settings for Compare Lines, which can be added to the existing Charts or will appear as defaults on all newly created Metrics. Prev: What is the Impact of Charting Intervals on Charts?